August 10, 2018 – Dr. Karen Cole-Smith, Executive Director of East Gainesville Instruction brought together Santa Fe College’s BACK TO WORK 50+ Project Coordinator Carolyn Das with several women who are community leaders to begin collaboration on reaching women who are 50+ years old and seeking employment. 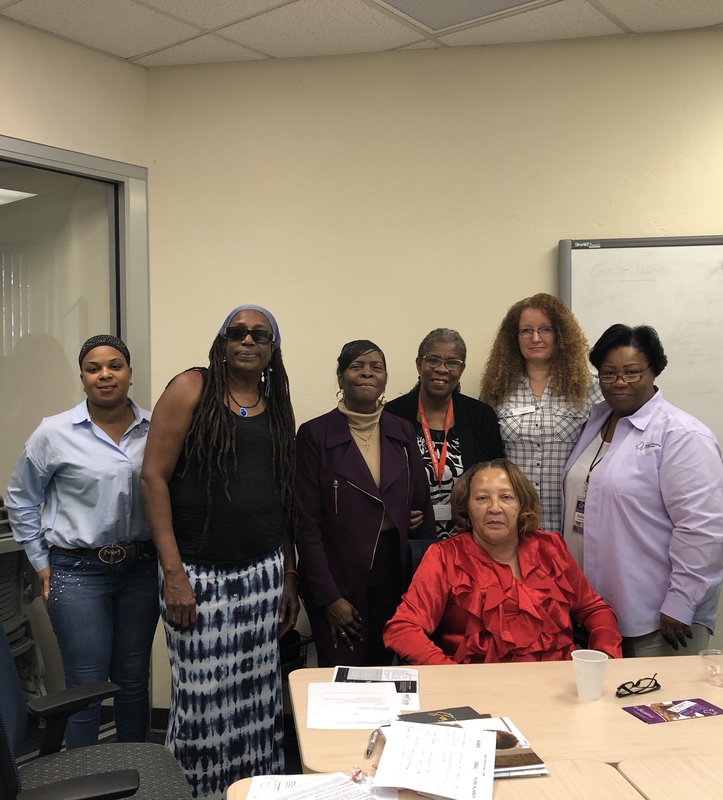 Representatives of the Central Florida Community Action Agency, Gainesville Housing Authority, Cone Park Branch/Alachua County Library District, Women Working with Women, the Cultural Arts Coalition and Sisters Helping Sisters in Need contributed to the rich discussion. Those gathered recognize that there are many resources in our community, yet challenges remain. Getting the word out about these programs requires developing relationships in the community. Securing employment that pays a living wage is challenging. It is not only important to provide job seekers with the tools necessary to secure employment, but also to instill a sense of hope and reduce the isolation that often accompanies joblessness. SF’s BACK TO WORK 50+ will be holding three more sessions in August to help give women 50 years of age an older the skills and the confidence they need to gain employment. Call toll-free to register in advance 855-850-2525 or just show up at one of the three informational sessions. For more details about the BACK TO WORK 50+ program at Santa Fe College, contact Project Coordinator Carolyn Das at 352-395-5184 or carolyn.das@sfcollege.edu.